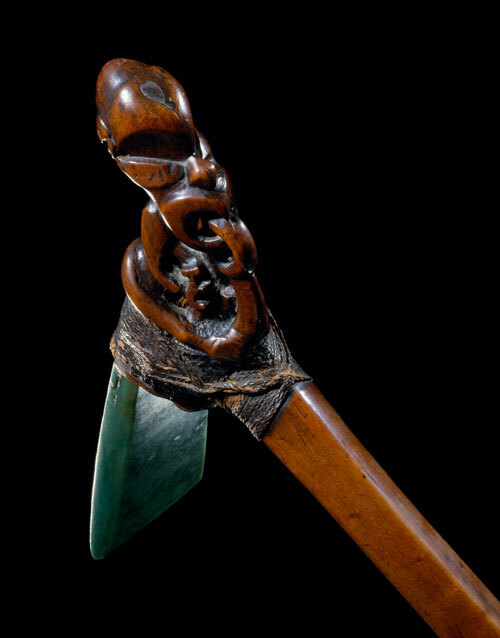 This is a toki poutangata or ceremonial adze. It was held by a rangatira and was a symbol of chiefly authority. While it mainly had a ceremonial function, it could also be used as a weapon.